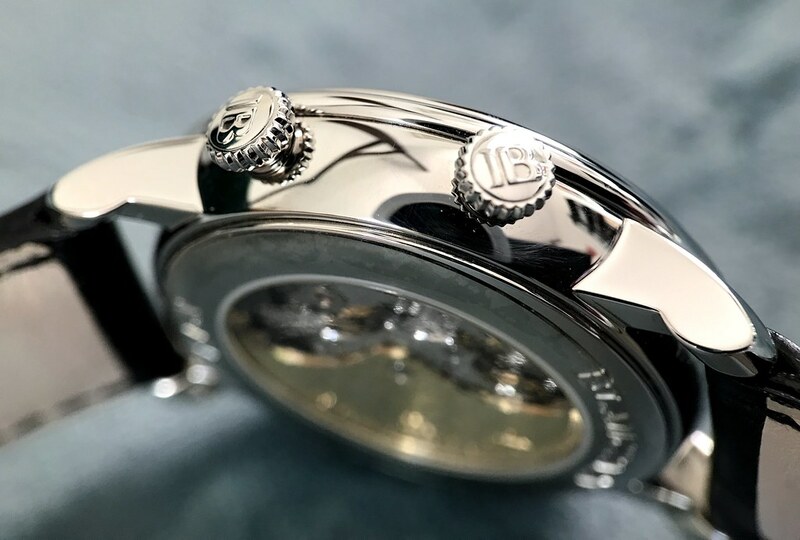 Our fellow forumer Tom has just shown us his latest acquisition, a stainless steel Villeret GMT Reveil on Mille Mailles bracelet, but he also pointed out that there's not too much coverage of this beautiful timepiece to be found... and he is quite correct about that observation. 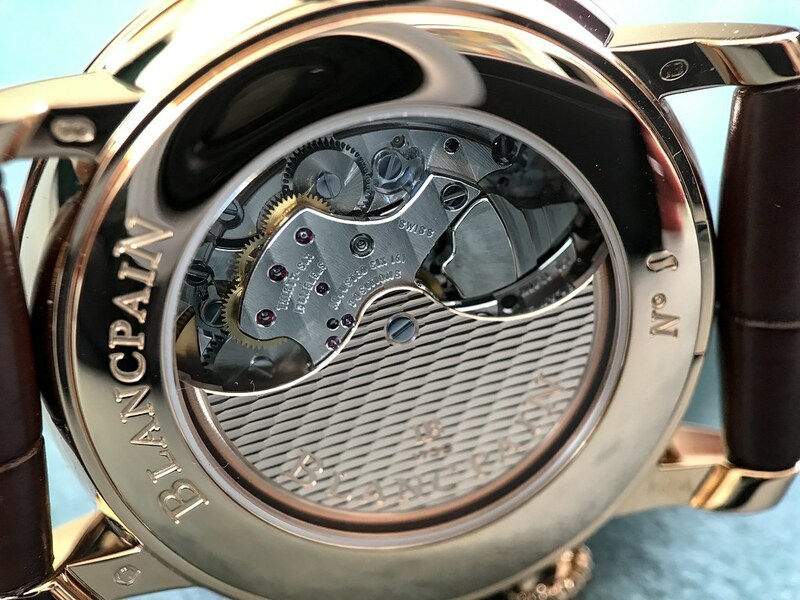 It may very well be that since we all are very accustomed to the GMT Reveil from its previous existence as a (widely discussed) 40mm Leman model, the translation of this splendid complication into the Villeret line did almost go unnoticed, and that actually is a shame. 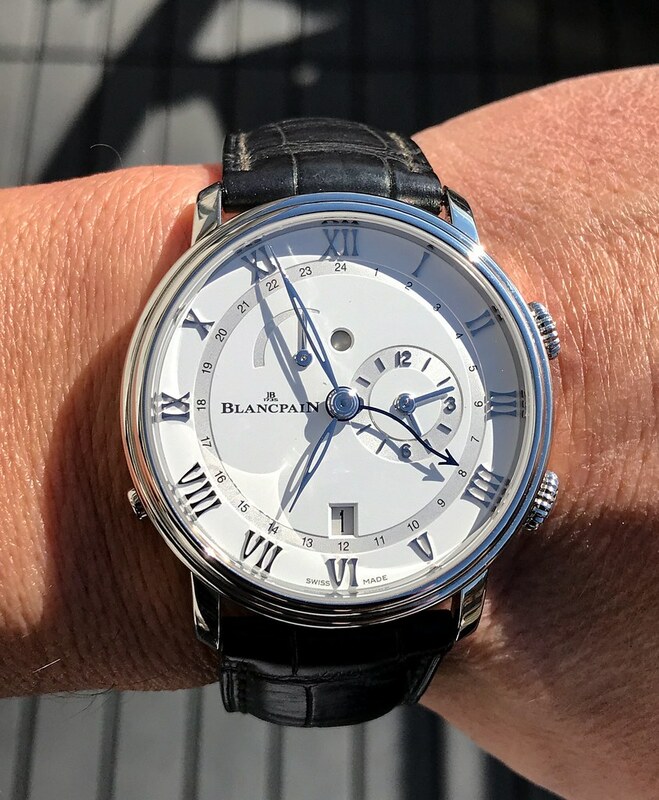 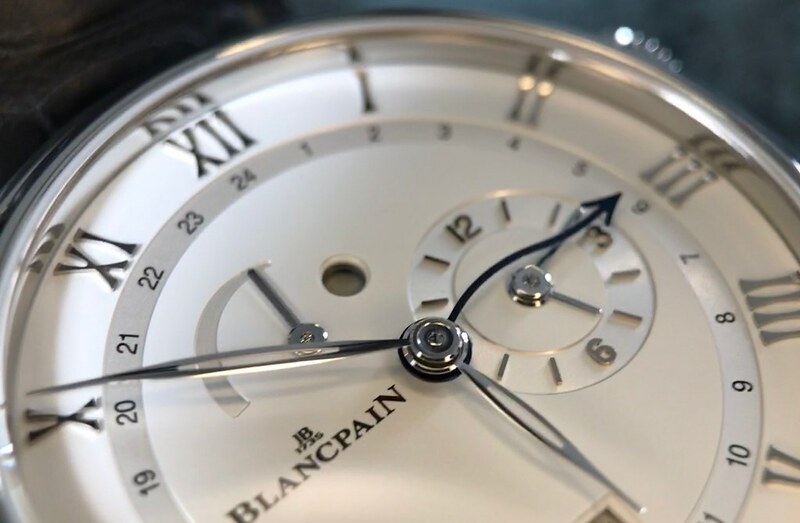 So I reached out to the Blancpain Boutique in Munich and asked them whether I could get my hands on the watch for a photo session, and they gladly not only gratuitously agreed but they even sent two watches! 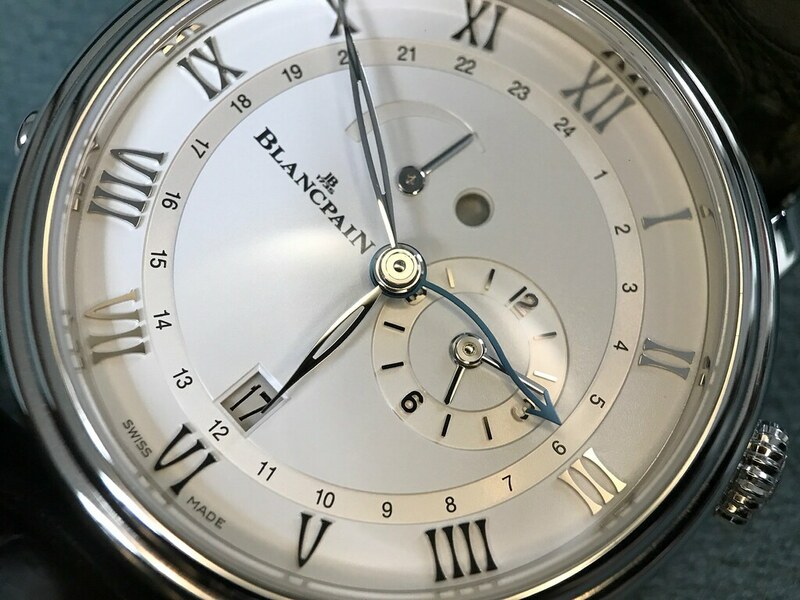 To me the GMT Reveil has found a perfect home in Blancpain's Villeret line. 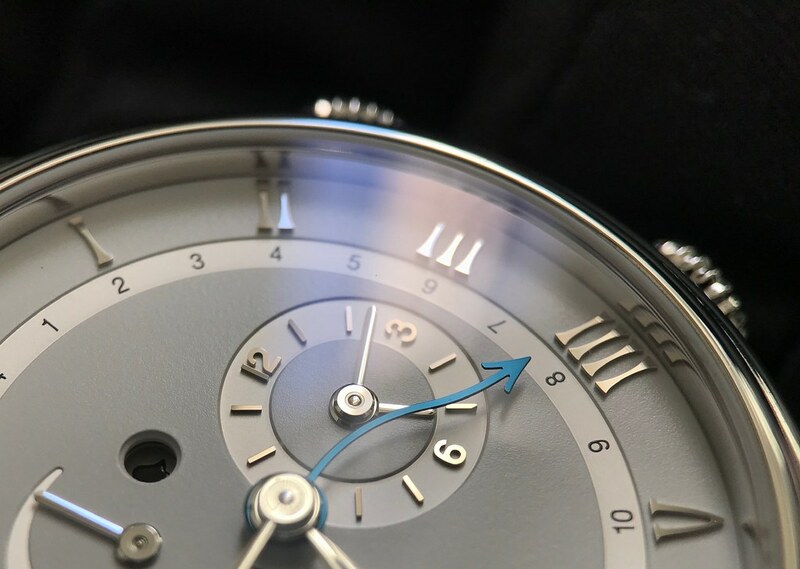 The dials are less busy than with the Leman (the absence of a permanent running seconds helps with that), in this variation it is a perfect under the radar timepiece to travel with, and in it's stainless steel version it also works well in more casual environments. 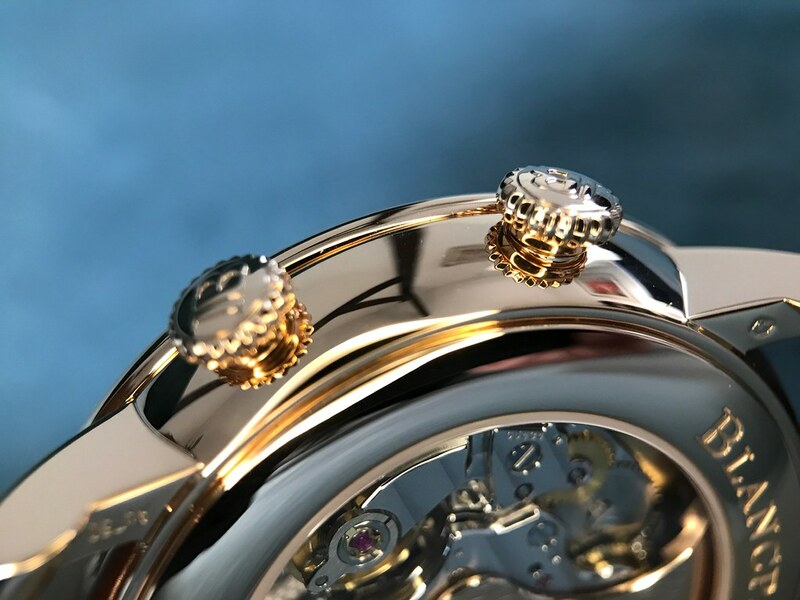 I hope you enjoyed the photos. 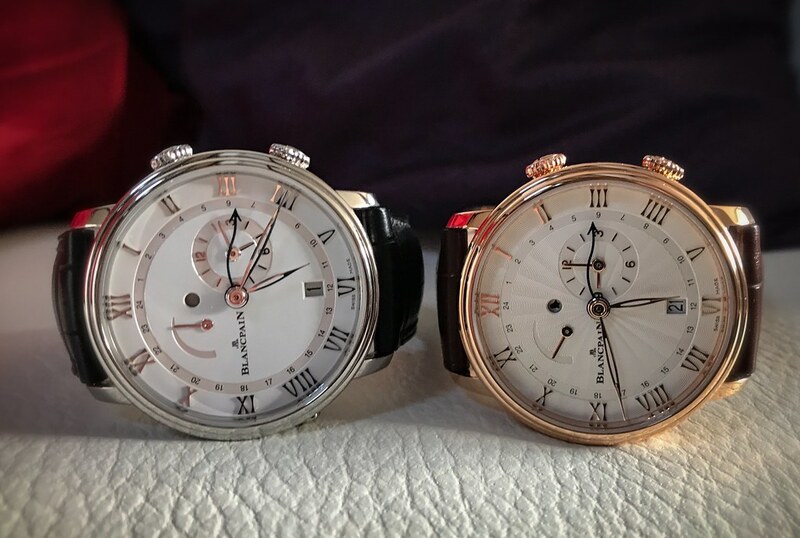 Since I cannot upload videos capturing the alarm, let me offer you to visit my blog, where you find those in case you wish to hear the Villeret GMT Reveil. 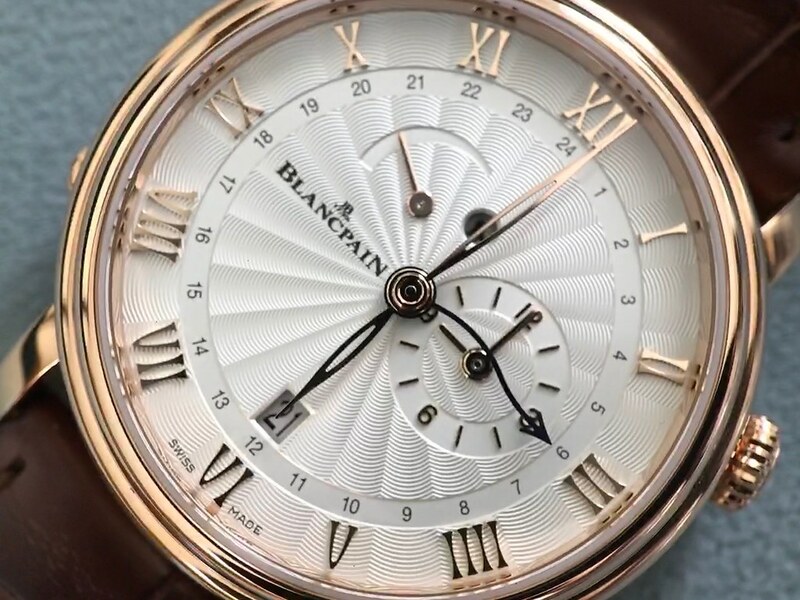 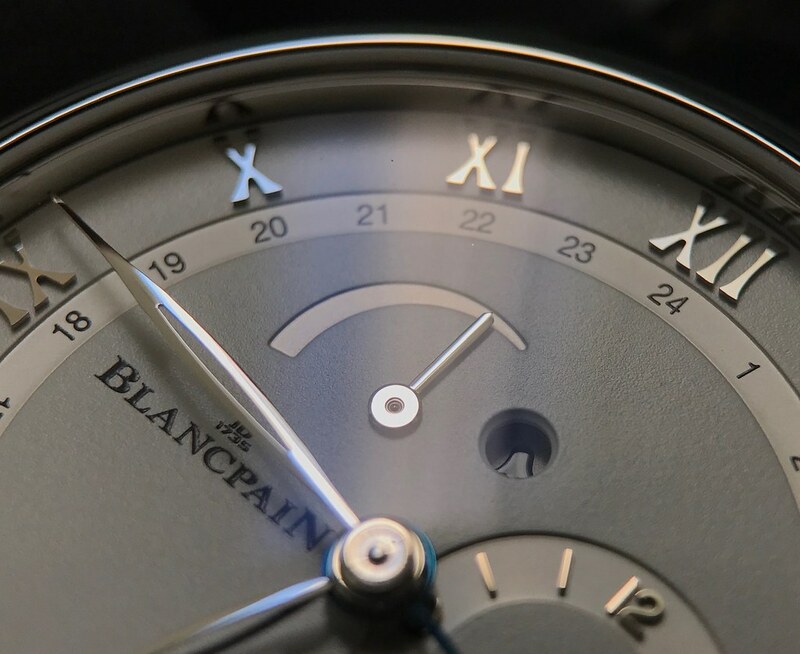 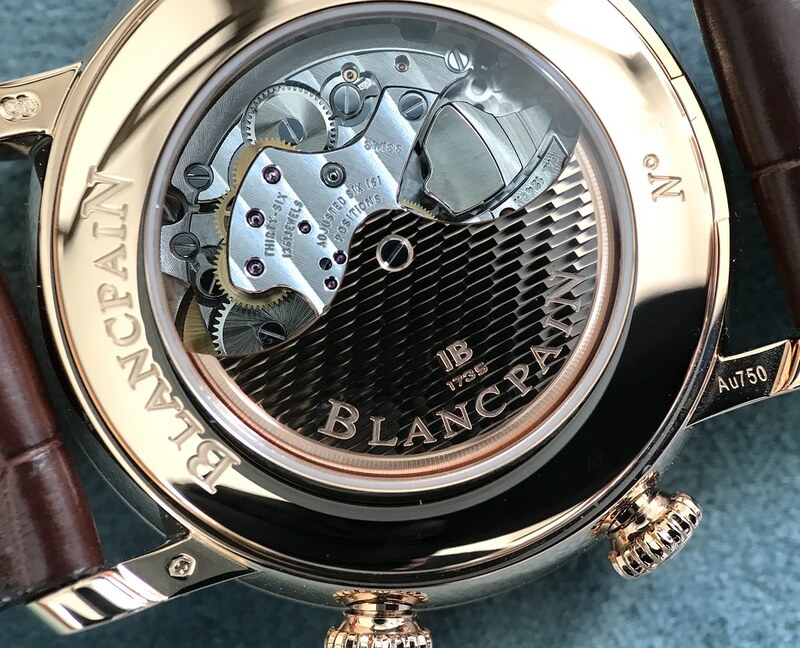 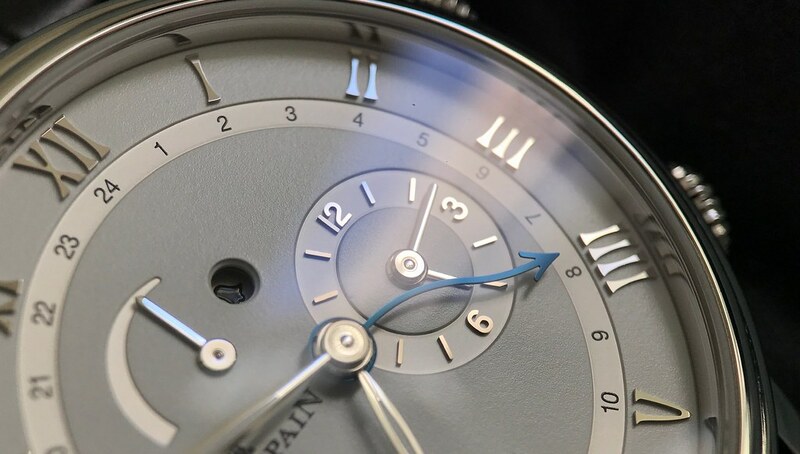 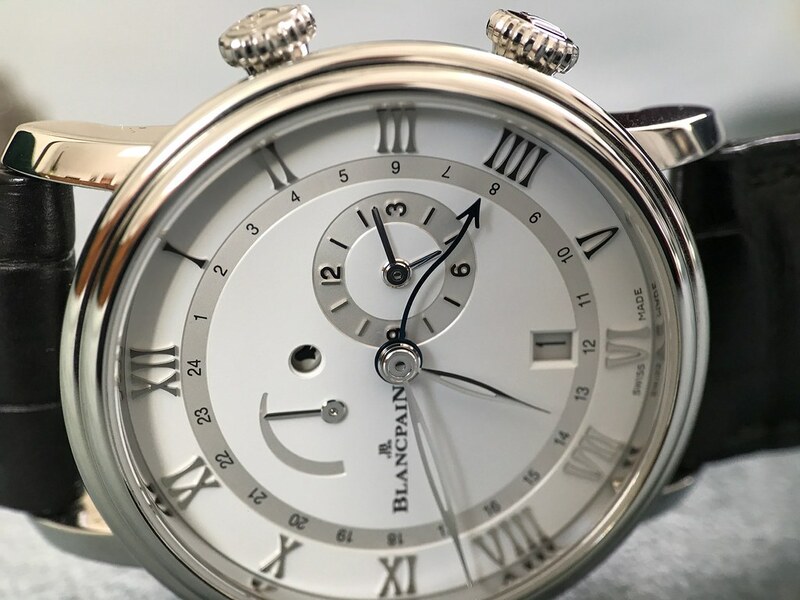 These watches instantly hit my aesthetical buttons, Blancpain does that most of the time. 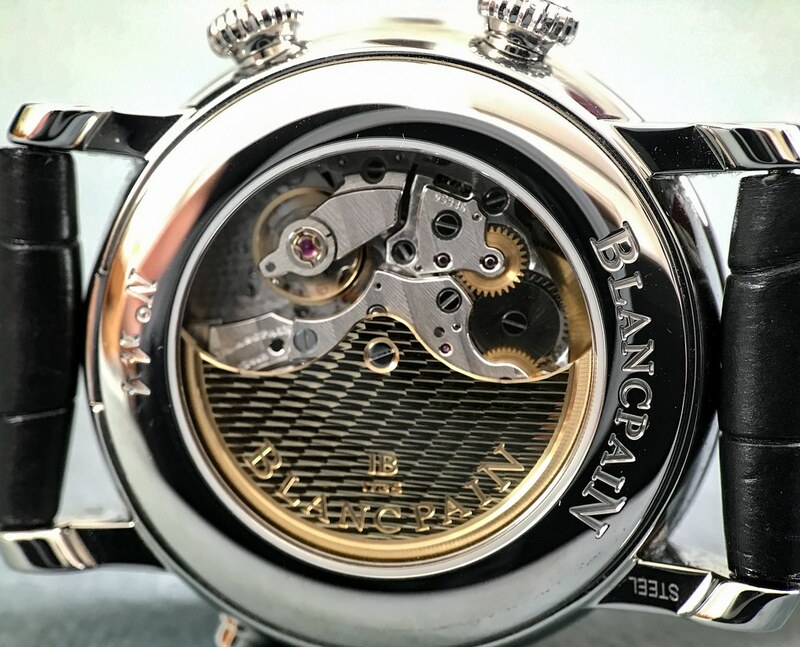 This is the best variation of this type of watch by far. 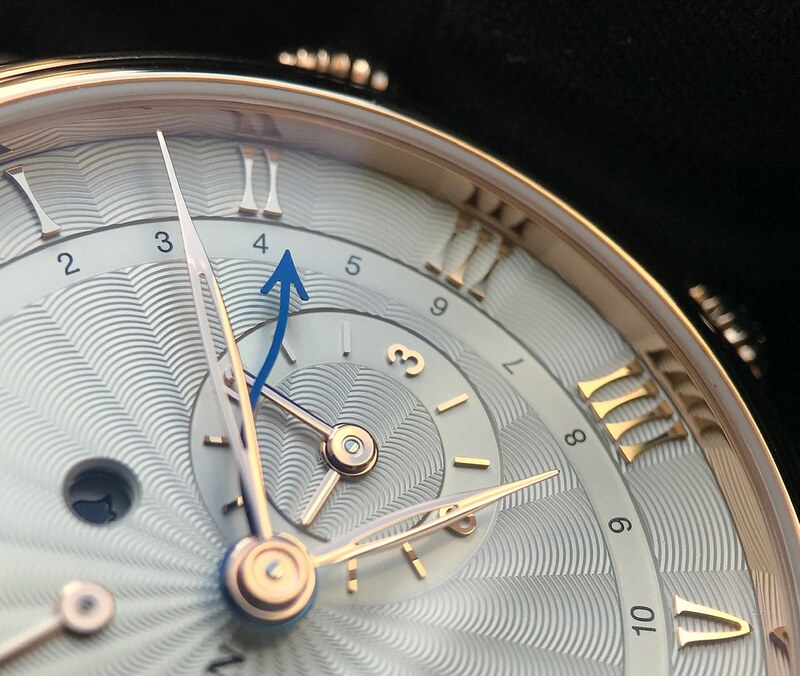 The functions are not spread seemingly haphazardly over the dial, which happens so often with this kind of functions, only technically driven. 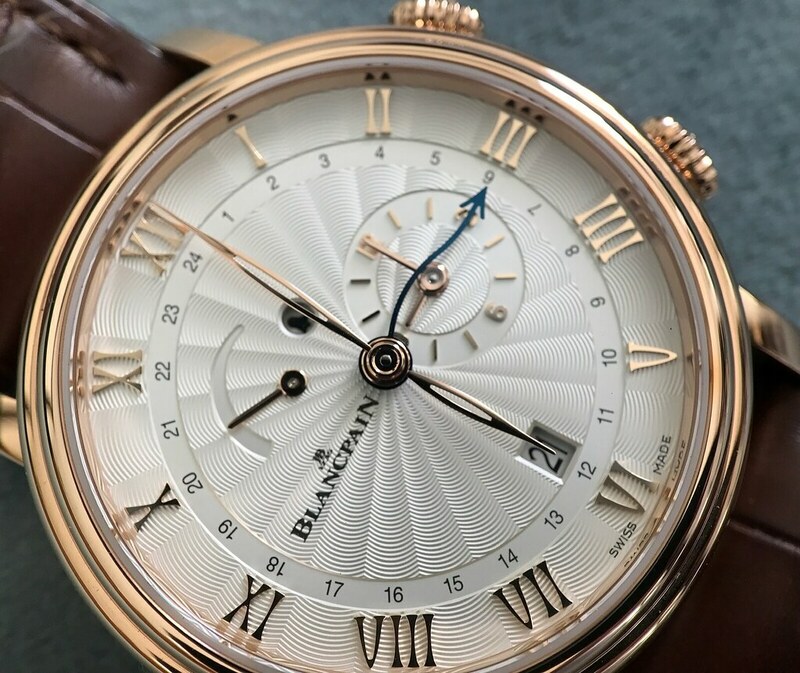 There is symmetry all over the dial except for the power reserve indicator, and there are not a lot of cluttering subdials, the dial looks surprisingly clean. 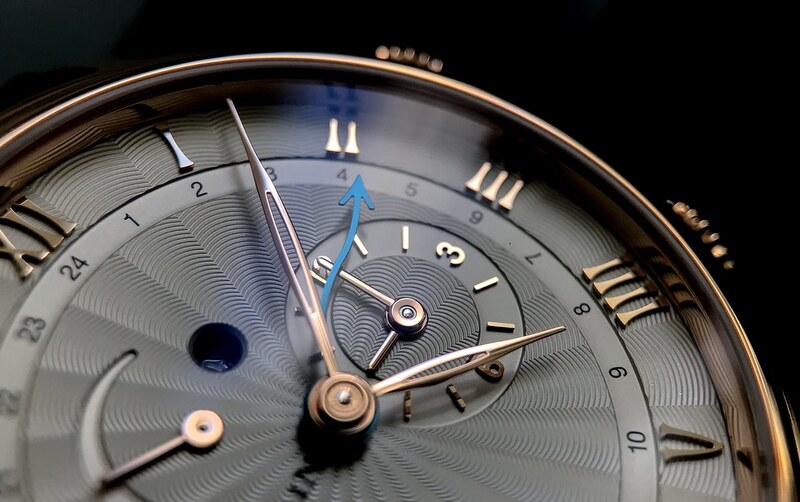 The big alarm time ring is both practical for an accurate setting, and quite subdued, not shouting in your face. 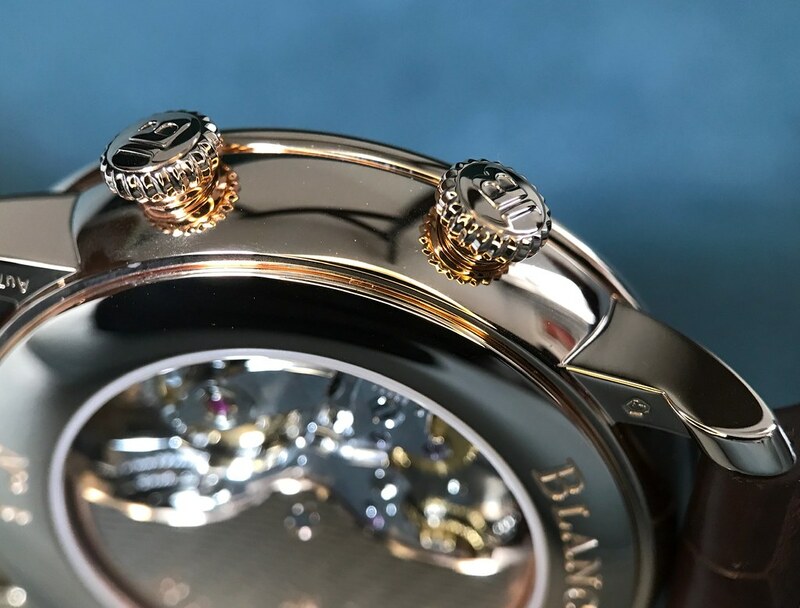 In short, a very beautiful, practical luxury watch! 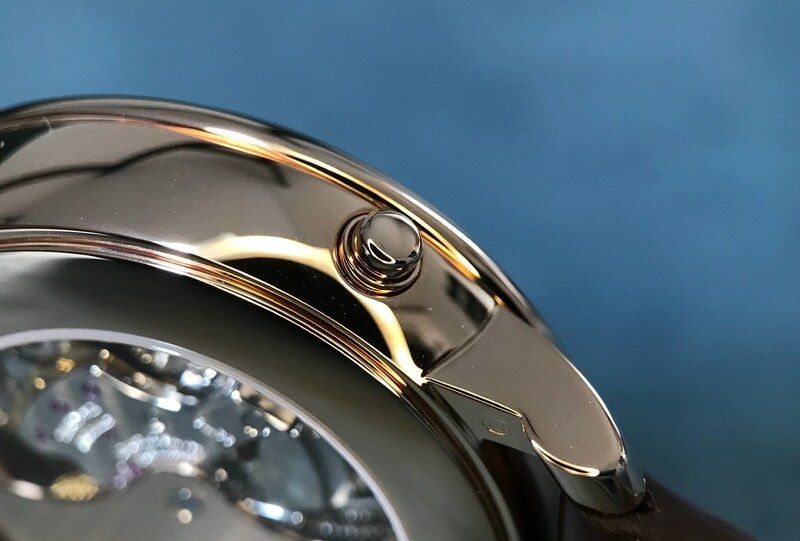 Thank you for showing all these details in such a wonderful way.